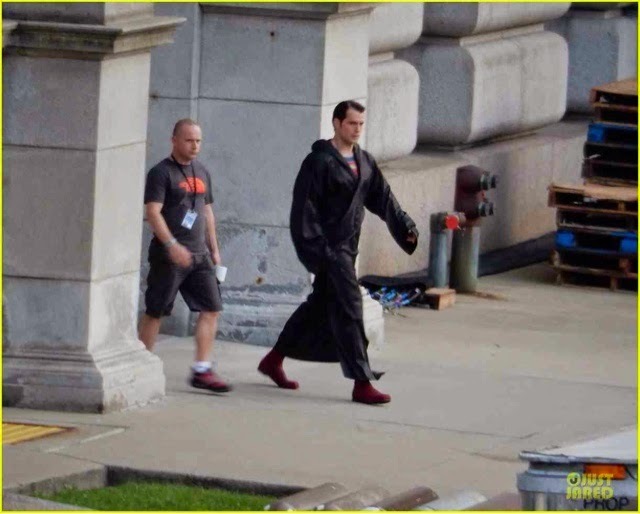 Henry Cavill News: Henry Cavill Back In Michigan: First Look At Superman On Set! 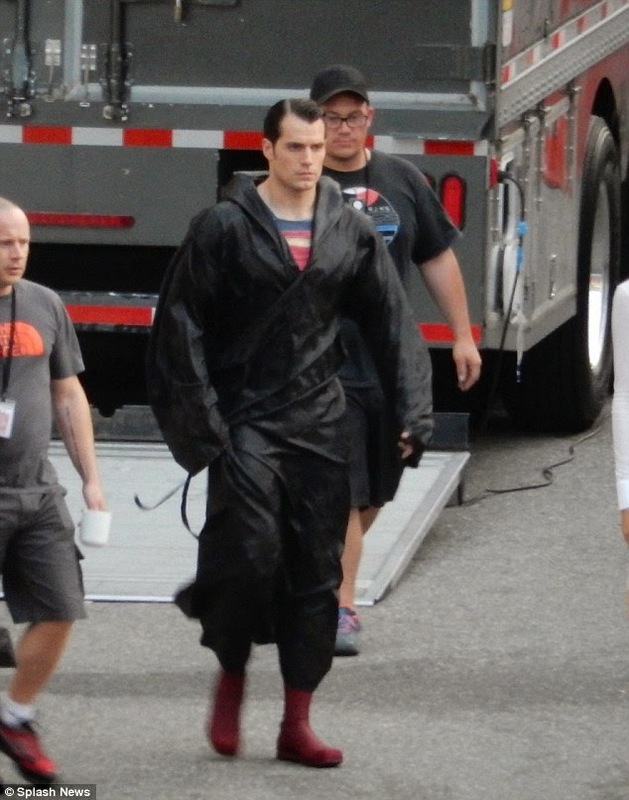 Henry Cavill Back In Michigan: First Look At Superman On Set! 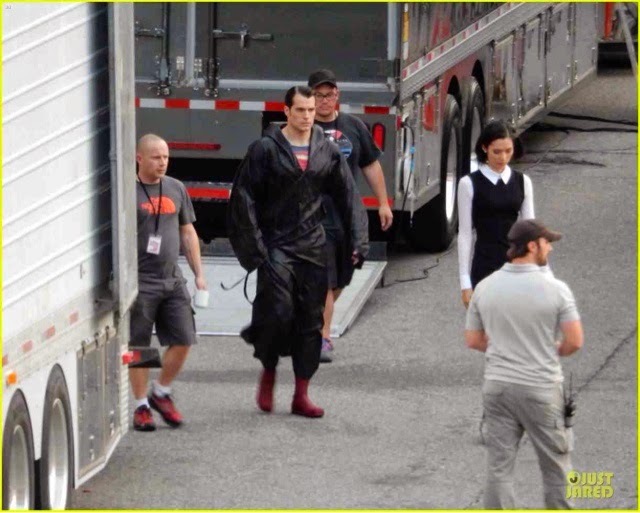 It's the moment we've been waiting for since filming on Batman v Superman began, a first look at Henry in his Superman suit! -- Bananadoc captured the shots while covering the latest set in downtown Detroit. You can see them in full size at Just Jared. About time we got to see you Man of Steel, the wait was well worth it. Oh, did we mention we have a few awesome candids to share from that set? look for them later this week. 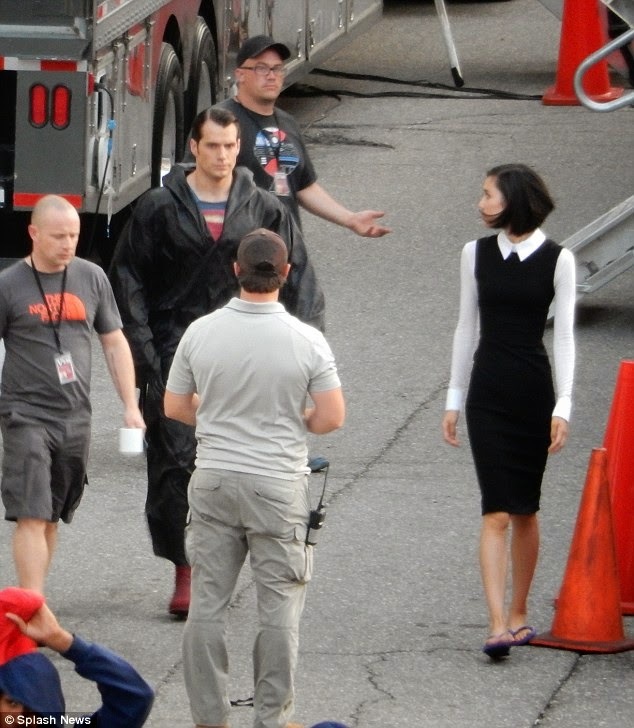 Henry walks behind Tao Okamoto, who we're also seeing for the first time on the Batman v Superman set. FINALLY. 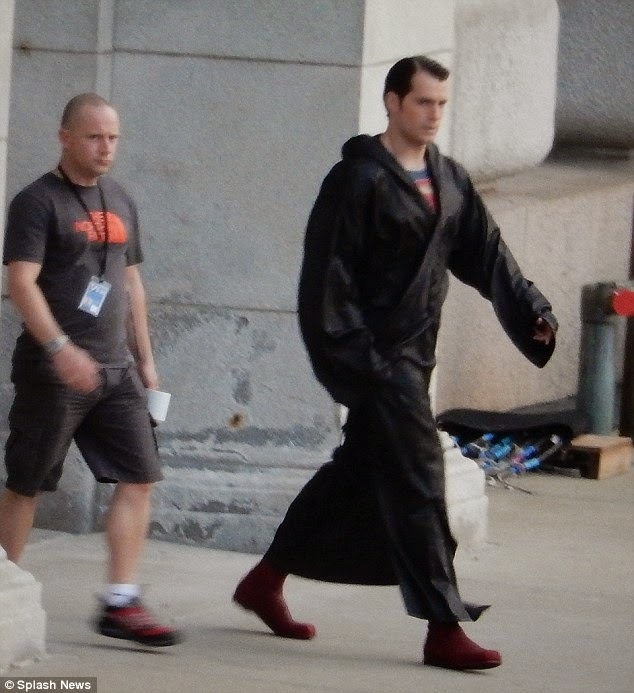 I've been dying to see Henry on set. 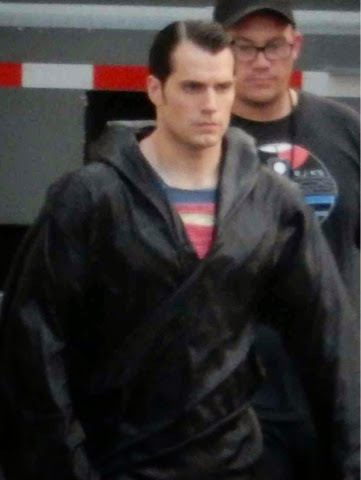 Henry is the epitome of masculine perfection , and so superman-like, he almost looks unreal!! And there is the Jedi robe lol! I wondered if Henry Cavill is even aware that Luke Evans just challenged him in ALS ice bucket challenge. He has less then 24 hours to complete it. And I pray the fabric of whatever he wears runs on the thin side. Don't get me wrong. I like Henry, really enjoyed MOS and can't wait for BvS. But I feel so bad for him that his hairline is receding so much and so fast! Love Superman. Love Henry. Don't like the hairstyle as well as MOS.